The T12 is indeed most faithful to Nathanael Herreshoff’s 12 1/2. 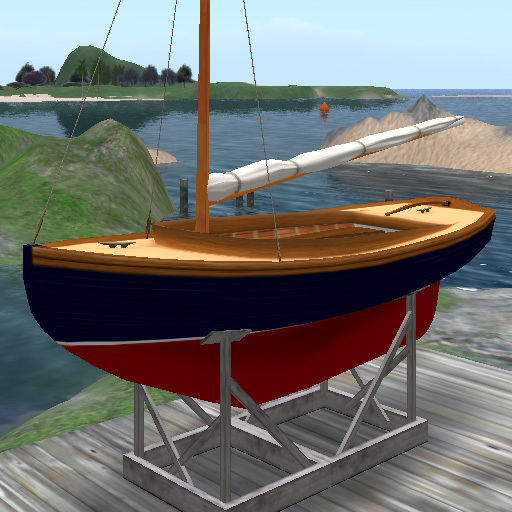 (I know because I sailed a RL 12 1/2 replica this morning). I can’t wait to cruise and take a nap in the T12 under SL stars. two questions… when? how much? She is a cutie. 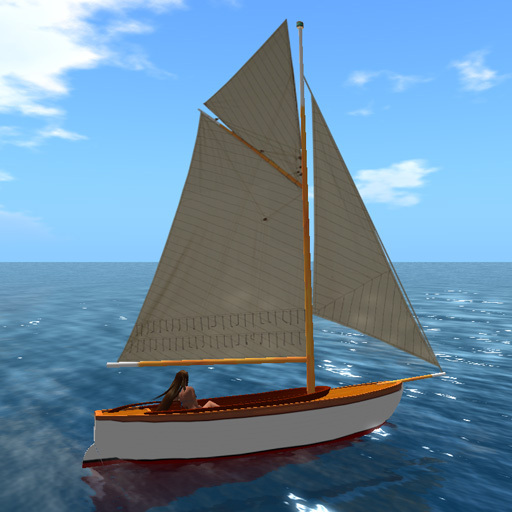 I love boats with gaff rigg, simply because I own one in RL (37 ft LOD, 43 ft LOA cutter with top sail and all). 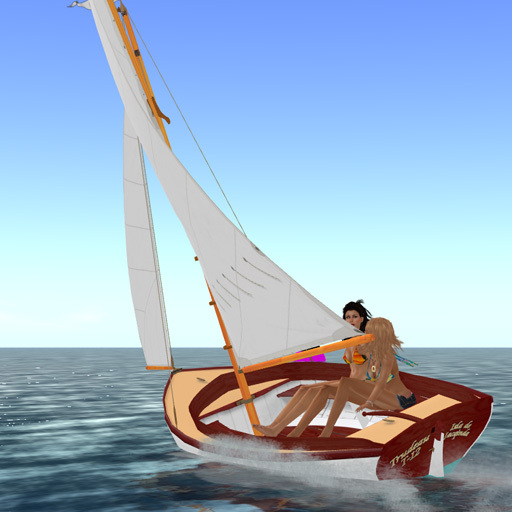 I also sail a gaff schooner once in a while, pretty much like Larinda, just bigger. Lots of ropes to know but worth every effort. 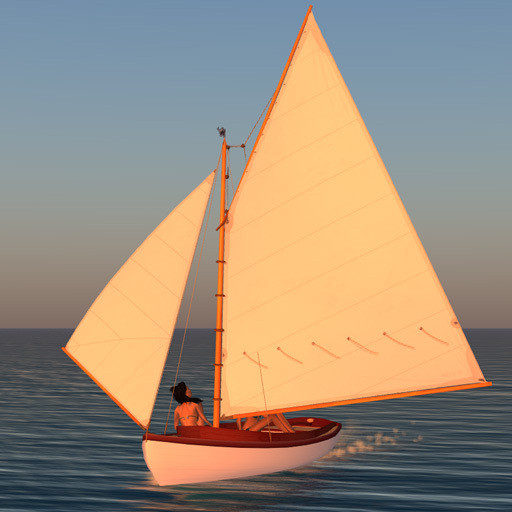 We just went for a sail in the 12..and it is wonderful.. beautiful lines.. 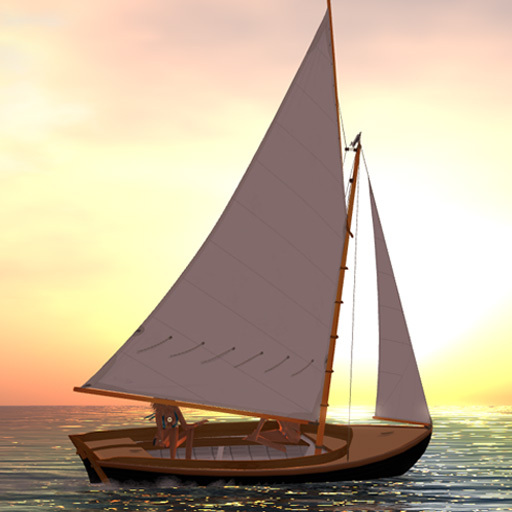 Thank you for including me in the beta testing of this Herreshoff 12 1/2 footer. 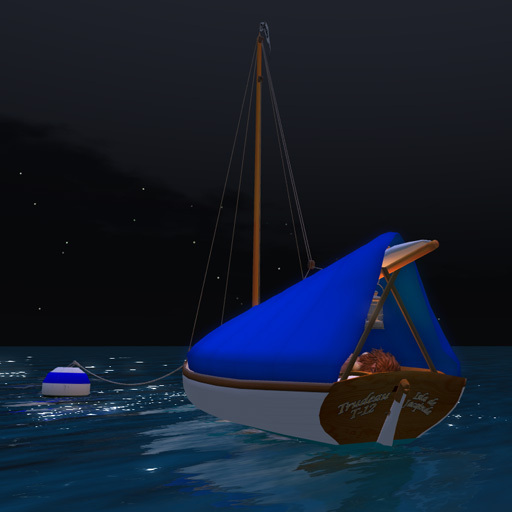 It is the closest feel of real sailing I have come to in Second Life, and I have been sailing one of these boats in real life since I was 12. That’s 60 years. She is a beauty, something to fall in love with and keep as an heirloom. Like the real boat, this one practically sails itself. It is an ideal learning boat, very forgiving, stiff in a breeze and steady. Its a beautiful boat but is there any chance in future of putting the lee helm effect as a toggle on a notecard? Been loving my Twenty for a year and a half. Bought a T12 last week. Sorry Twenty, there’s someone else in my life.